If you contacted Rep. John J. Duncan’s office urging against repeal of the Affordable Care Act, you likely received a long letter claiming that “increasing competition” and “reducing government’s role” will lower prices while improving health care. Such a load of magical thinking! Duncan focuses on skyrocketing premiums as “proof” that the ACA is failing. Here’s what he doesn’t say: Costs are rising, in part, because Congress underfunded the program, imposed weak fines for not purchasing health insurance, and sowed political uncertainty. The combination increased the burden on insurance companies, which responded by raising costs. 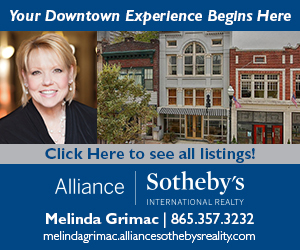 In a perverse foot-shooting demonstration, Tennessee never allowed for state exchanges so we never got to see a working ACA market, nor did we reap the benefits of expanding Medicaid. Premiums also rose because the ACA mandated better coverage, forbidding half-baked insurance plans. Health insurance is not the same as health care. Like a house without a roof, insurance that does not cover what makes you sick is worthless. Duncan and his fellow Republicans like to vilify taxes, but they won’t talk about the hidden tax levied when hospitals have to treat everybody. Those who can’t pay force costs to rise for the rest of us, and without adequate primary care to promote preventive care, people get sicker and costlier. In a system mandating expanded coverage, you’d expect higher costs in the beginning, but long-run costs should decrease to reflect the benefits of preventive care. Republicans seem hell-bent on keeping the long-run from ever getting here. Instead of working to fix the ACA’s flaws, they aim to sabotage the process to guarantee its failure. In his letter, Duncan harps on the claim that repealing the ACA will stop premiums from rising. He conveniently forgets that premiums were rising faster before the ACA and pretends his new AHCA won’t make health care unaffordable for millions. He asserts, with zero evidence, that competition will control costs. How? Magic! Consider drug prices, a market free from the tyranny of government control. Pharmaceutical drugs are intentionally scarce—but lifesaving—so the market can charge high prices regardless of production costs. Televisions don’t work that way. You don’t have to have a television to breathe. Inhalers, on the other hand, are manufactured by a small number of companies that put old, cheap drugs into newly patented packages to charge more. A lot more. Patients will pay because, otherwise, they can’t live. Health care can never work as a “free market” because nobody wants it. But everybody needs it. Desperately, when they get sick. Drug prices are under control only in countries where the government sets rules. Admittedly, I’ve simplified a complicated issue, and I’m no expert on health care, but that’s half my point. This is common-sense stuff, a push-”pause”-on-the-propaganda moment. I remember a conversation I had last fall with a man who told me he supported Gloria Johnson for state representative but would not vote for her, or any Democrat, as long as the ACA’s individual mandate was in place. The mandate, he said, took away his freedom. So I asked him to consider what would happen if only tornado victims bought homeowners insurance, if those in car accidents bought car insurance, and if only hospice patients bought life insurance. Insurance works only when there’s more money coming in than going out. If we’re going to stick with a private insurance model for our health care sector, the mandate keeps us from returning to a system where health care is for rich people—everybody else is out of luck. By the end of our conversation, the man had decided he supported a government-run single-payer model. Republicans are trapped because the ACA was their private insurance-based solution to our costly and inequitable health care system. When Democrats conceded it was the only politically feasible path to reform, Republicans balked. Now they are pretending that “competition” applied to a system that does not respond to market forces will magically lower costs and improve health. They want us to trust private corporations, working for shareholders, more than we trust our government, which should be working for us. In reality, without federal intervention, Duncan and his buddies would reduce costs by reducing services. In other words: rationing based on income. Unless you’re wealthy, you might have insurance but you won’t get health care. This is propaganda, folks. Duncan must think we’re stupid down here in Tennessee. That we won’t recognize the con of insurance that doesn’t cover anything. He’s trying to fit health care into an ideology that rejects government solutions without asking the question: What works? It’s an ideology summed up by Heritage Foundation executive Michael Needham: “What’s the point in having a conservative party if we’re not going to fight a massive federal intervention in health care?” To which I answer: What’s the point in governing if you’re going to ignore what works? I mean, what works in the real world, where actual human beings live and sometimes get, unexpectedly, sick. There’s data to be found. Studies to consider. People to talk to. But Duncan is not serious about addressing health care any more than he is about climate change, immigration, income inequality, or any number of life-and-death issues. In his letters he throws out statistics like confetti without saying anything true. In his newsletters, he uses “liberal” as a slur. He appears to believe he represents only constituents who agree with him; the rest of us are a waste of his time. And with that “R” behind his name, he’s never had to worry about losing his job. What will it take for people to get fed up with legislators who insist on forcing the solution to every problem into their own tiny ideological box? 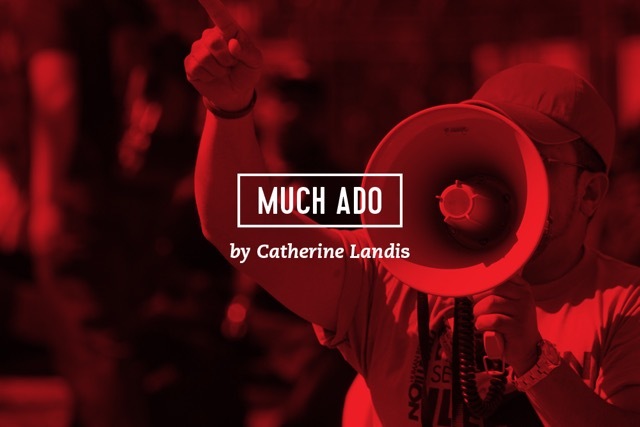 With Much Ado, Catherine Landis examines how political decisions and social trends affect the lives of the people around her. She is particularly interested in issues concerning feminism, civil rights, education, the environment, and immigration reform. A former newspaper reporter, she has published two novels, Some Days There’s Pie (St. Martin’s Press) and Harvest (Thomas Dunne Books/St. Martin’s Press). She lives in Knoxville. 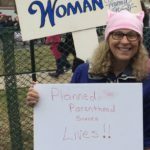 Why Are Our Legislators Still Investigating Planned Parenthood Over Discredited Videos?